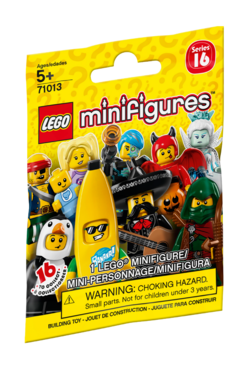 71013 Minifigures Series 16 is a series of Minifigures released in 2016. PLEASE NOTE: Each ‘mystery’ bag contains 1 of the 16 characters available in this collection. 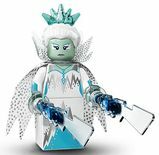 Unfortunately, we cannot accommodate requests for specific minifigures. If you purchase more than one ‘mystery’ bag, you may receive 2 or more identical minifigures. 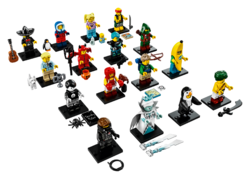 Facts about "71013 Minifigures Series 16"